Location: Todmorden, West Yorkshire, England. Ownership / Access: Activity centre. 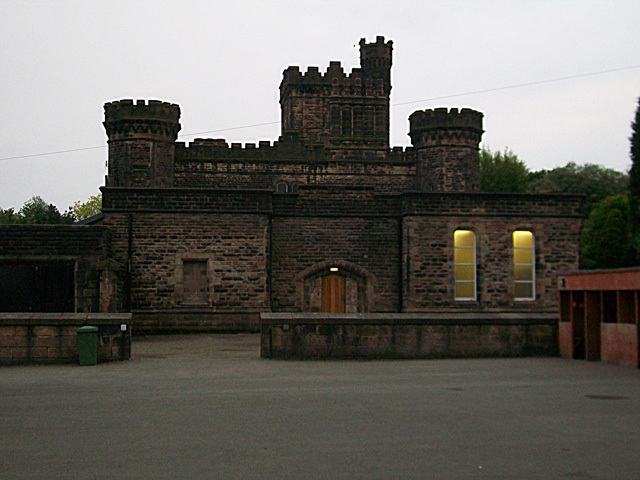 Notes: Dobroyd Castle is an important historic building above the town of Todmorden, West Yorkshire, England. It was built for John Fielden, local mill owner and son of Honest John Fielden the Social Reformer and MP. The building has had a varied past. First built as an extravagant mansion house, then it was used as a school, it then became a Buddhist Retreat centre and the building is currently used as an Activity Centre (Known as Robinwood) for Primary School Groups. The castle has 66 rooms and is Grade II listed.